First and foremost, Ms. Armstrong, I readily acknowledge that you probably don’t really care what it is I have to share with you. With over 1.5M Twitter followers and an online empire that dates back to 2001, I imagine you have this sharing-of-your-soul thing down pat and aren’t exactly out looking for reassurance from total strangers. I ran across this Tweet last week and then watched your 19-minute talk that it linked to on YouTube. It’s taken me a few days to articulate how hearing your words made me feel. I participated in a Q&A session back in 2011 with other local “celebrities” (if you squint long enough while staring at me, I morph into someone others could possibly consider influential, as long as the A-listers and B-listers are already booked that is) while helping to raise money for a local nonproft that strives to serve homeless and at-risk youth within my community. I went on to explain how I admired your free spirit and unfiltered writing. How I thought it would be compelling to see how you balanced your creativity with your career. I sometimes questioned the level of depth you revealed, simply because I couldn’t ever picture myself spilling out so much with my friends and family (or even perfect strangers for that matter). I can’t say I always agreed 100 percent with your opinions. Yet I respected you time and time again for bravely and honestly standing your ground with whatever you believed to be true. Your personal battle with postpartum depression had the power to rob your heart and mind. By sharing your demons, you no doubt freed many others from theirs. Your innocent, lovely girls and devoted dogs made me smile and I cheered for your entire family. You were living the life we all hoped and dreamed was possible. You and your husband’s trial separation period was a little too raw for me to read about. I felt if I continued to gawk at your personal struggles, I was no better than the nosy neighbor who sits out on her porch shooting judgmental glances at unsuspecting passerbys. I remember one of the final posts I read described you staring down at the dog leash you were holding in your hand and knowing that if you wanted it to (and you assured us all you did not), that leash had the power to make everything go away. In your talk about why you are now choosing to walk away from sponsored content writing, you serve as the crystal ball into which so many of us mommy bloggers yearn to gaze. We all start off with two things after all: a love of writing and a desire to share our parenting reality through our own life’s lens. 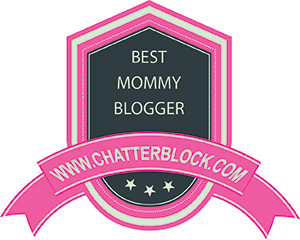 The funny thing about mommy blogging, however, is that we all think we want to reach as many readers as possible because volume typically equates to popularity and opportunities. But, at the same time, we are wary of the fact that earned readership and opportunities may come with unintended sacrifice and consequences. I guess, more than anything, I wanted you to know that I believe you and Jon started off on this journey together for all the right reasons. I imagine your sudden rise in fame took you both by surprise – equal parts thrilling and terrorizing. I bet you collected a handful of really sentimental memories together with your girls through your professional blogging that you wouldn’t trade for the world. Knowing you have also felt completely torn apart as a result of your decisions, especially the gut-punching sense that your girls were included in the massive pile of collateral damage, well that’s something that no mom would ever wish on another. You may have decided to turn a different direction on the professional path you are paving, but know this: You are still teaching all of us who have followed you for any portion of your journey. And for that, I wanted to thank you. Read about Ms. Armstrong’s journey here and here. You articulated my thoughts extremely well in that comment , Roy. I completely concur.